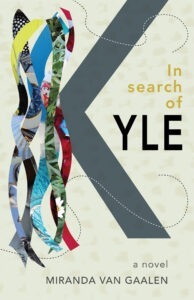 Sky Beaumont moves overseas to find Kyle—the writer of cryptic postcards addressed to her artist grandmother Helen Coppin. It’s the spring of 1989 in a society where capitalism and anarchism clash. While overcoming heartbreak, Sky sculpts her life based on Feng Shui principles. Then she gains access to a mysterious underground labyrinth. How can her new friends—the punk Izzy Elliot and Daphne Hartman, housemate and economics student—assist with her quest? What do the nine cards mean? When Sky delves deeper into Kyle’s city she experiences the influence of the subterranean chambers. How will she cope with discovering a reality different from what she expects? And where is Kyle?